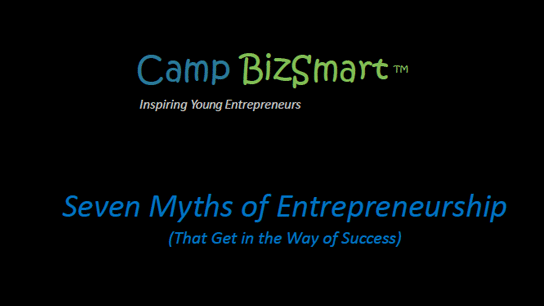 Over the past 12 years, the staff, founders, advisors, & CEO innovation case sponsors of Camp BizSmart have assembled some business presentations and articles on the wisdom and science of entrepreneurship. We thought that our alumni, now numbering over 6,000, and parents might find some of the information useful. So here, we humbly offer some small bits of knowledge we have learned along the way. 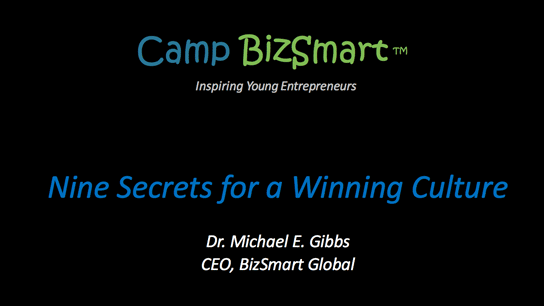 “When it comes to clients and partners, sweat the small stuff…” Learn about this and 8 other trends driving winning cultures in successful businesses. 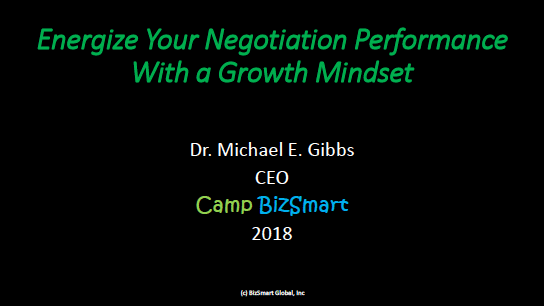 Taking yourself and your business deals from win/lose to win/win depends not on your ability to employ tactics to change the behavior of the other party, but on your own ability to accept and own a growth mindset for making better bottom line deals for yourself. The Camp BizSmart, Learn by Doing Model came from the founders’ experience developing executives at Fortune 500 companies like General Electric and Texas Instruments. 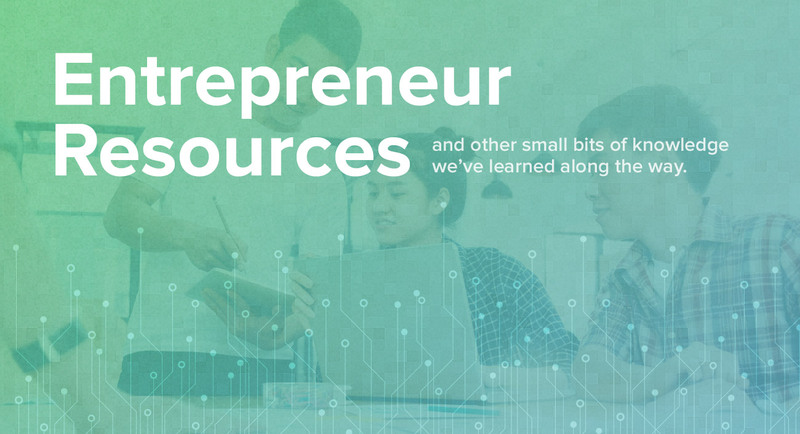 The unique, “Learn-Do-Check-Act” curriculum links real world business projects to attaining valuable skills, insights and inspirations that will fuel a lifetime of achievement and success. Entrepreneurs are people who make few assumptions and risk their own talent, time and money to solve important problems, creating jobs and wealth for themselves and their investors.